Peavey has donated £10,000 worth of PA equipment to be won in a massive competition. Music Makeover, which is being run by PRS in association with the British Beer and Pub Association and music retailer GAK, offers pubs across the UK looking to host live music a chance to win everything they need to get started. To enter, pub owners simply need to visit the official site and follow the instructions. Ten runner up prizes of £200 worth of GAK vouchers are also up for grabs. For more information visit the official PRS website. Peavey Electronics® is pleased to announce their support of the Music Makeover Competition which gives venues the chance to win £10,000 of Peavey PA equipment through the music equipment retailer GAK. Venue owners can head over to the PRS for Music Website now and enter into the Music Makeover competition. The competition, which is being run in association with the Musicians' Union, the British Beer and Pub Association and music retailer GAK, offers pubs across the UK looking to host live music the opportunity to win £10,000 of Peavey PA gear. There will also be £200 worth of GAK gift vouchers up for grabs for ten runner ups. 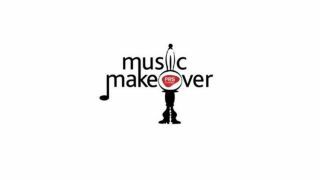 To enter the Music Makeover competition, simply complete the online application form or print it and return it to PRS for Music by December 31st. Finalists will then be visited by reps from PRS for Music, with the overall winner to be announced in early 2014.